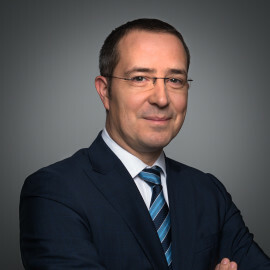 Liviu Togan specializes in Criminal Law and Dispute Resolution, having a practical professional experience of almost 20 years. Liviu represented various companies and individuals (especially businessmen and public figures) before criminal investigation authorities and Romanian courts at all levels, within complex legal proceedings relating to corruption offences, tax evasion, money laundering, creation of organized crime groups, as well as abuse of office, deceit etc. His expertise also includes performance of compliance corporate audits, by assisting various clients with the identification and remedy of criminal risks that can affect the economic activity of corporations, as well as a wide experience in Mergers and Acquisitions and Energy sectors. 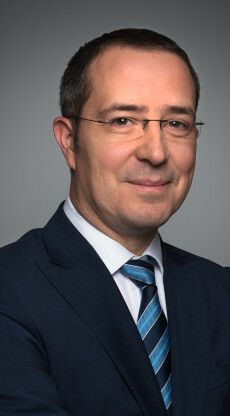 Liviu also assists and represents clients in disputes relating to administrative and tax law, corporate law and in insolvency proceedings. The Romanian division of a leading German retailer regarding the investigation of alleged criminal offenses committed in connection with the issuance of land titles. An affiliate of a Swiss global healthcare company in various pharmaceutical litigations dealing with claims worth over EUR 100,000,000. A leading Romanian oil company in connection with a complex criminal file involving various shareholders and high executives, as well as Government officials. A former Government Counsellor in a high profile corruption investigation and trial regarding important amounts of money used for elections financing, involving former State ministers, senators, other officials and business people. A leading real estate entrepreneur, investigated and tried in one of the most complex real estate corruption cases lately, with an estimated prejudice of over EUR 300,000,000 involving Romanian senators, State and local officials, business men and other persons, accused of organizing a complex network of influence peddling in order to illegally obtain financial benefits from the restitution of a large forest plot. A Romanian business man in a case involving the creation of an organized criminal group of some 30 private persons and high-ranked public officials in order to perpetrate economic crimes relating to producing and selling oil products, the claimed prejudice exceeding EUR 50,000,000.